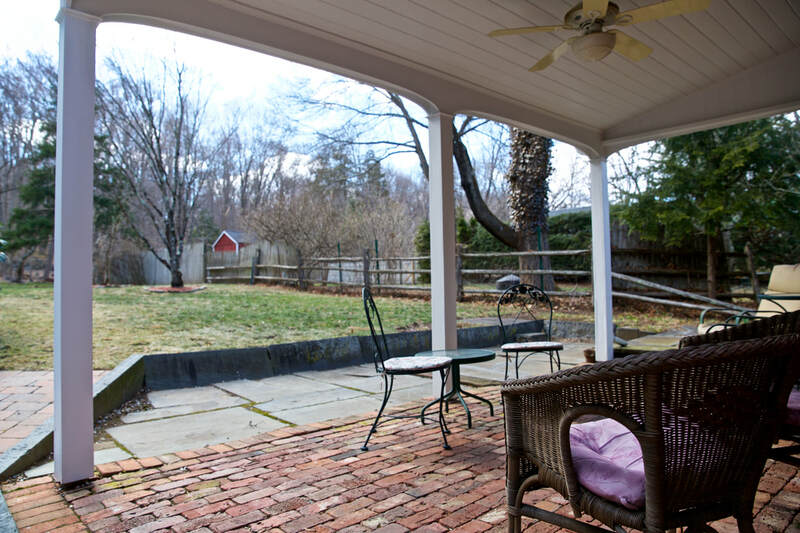 104 Silvermine Avenue is the best example of a home that matches the beauty of nature, with immaculate condition of a home. As you approach the property, the home maintains privacy from the road, until you enter the driveway. It has that feel of early 1900's architecture, and looks quaint and charming from the outside. You are greeted by manicured and well-kept grounds, and a 2 car detached garage. As you enter the front door, the first thing you see is a formal living room with a fireplace that dominates the views of this room. 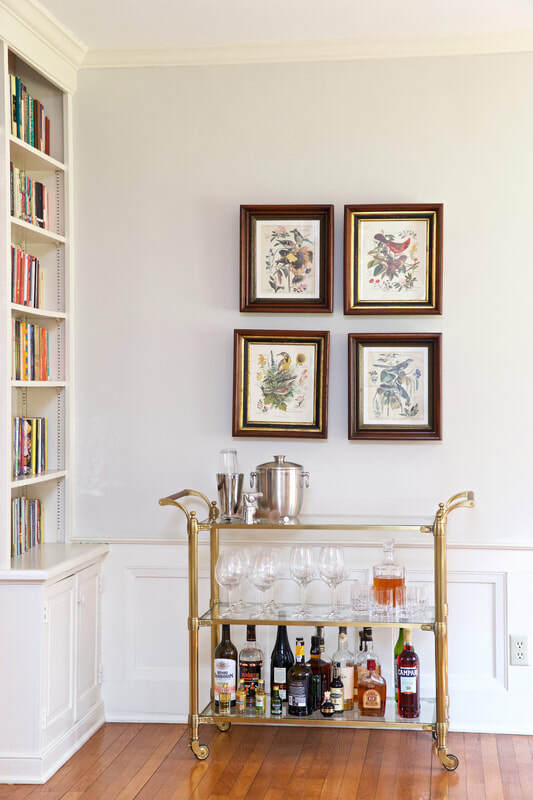 Yet, all around, there are built in bookshelves, nooks, and other features that make for a great first impression. Immediately near the front door is a half bath for guests, in great condition. There are also hardwood floors through every room of the home except a couple. Off the living room are the dining, kitchen, and family rooms, creating a circular flow, perfect for entertaining. Off the family room there is an office with equally amazing views, through multiple sets of windows. 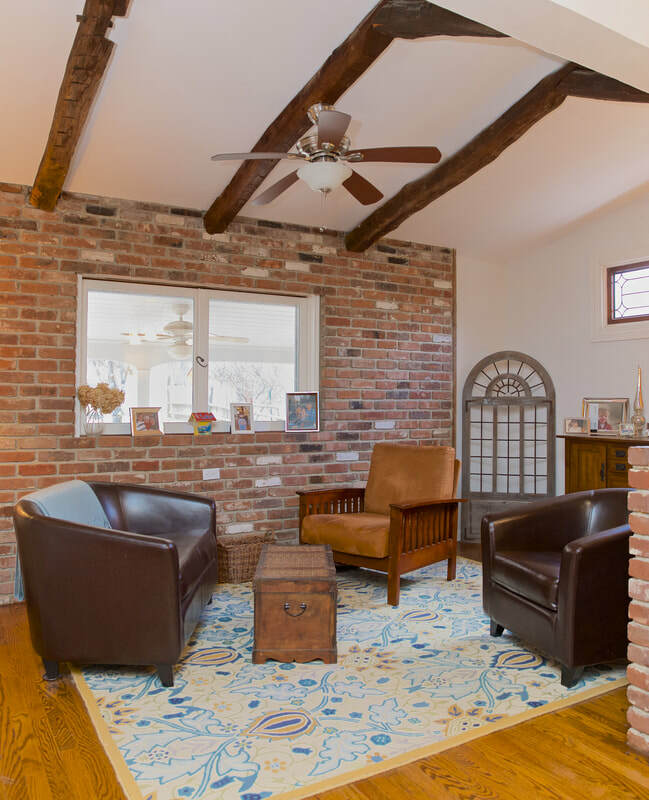 There is a slate floor and fireplace that make this room an ideal space for a work-from-home job - leaving it will be unnecessary during the work day. There are sliders to the back deck to take in the natural beauty, the fresh air, and the sounds of the pond and surrounding woods. Back through the family room into the dining room, there is a large space with another huge window overlooking the pond. This room also features hardwood floors and has ample space for a large table. Connected to it is the kitchen, a modern, updated space. 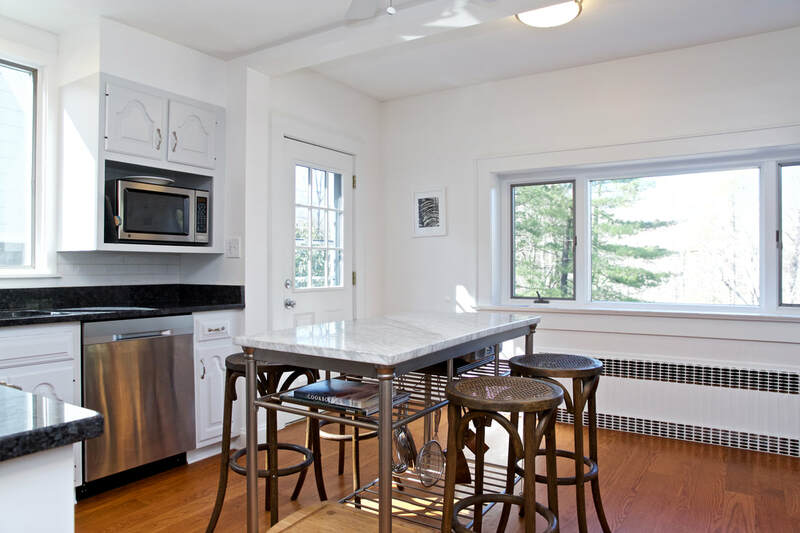 There are granite counters, propane-fueled stove, and cabinets in excellent shape, newly painted while maintaining the character of the original home. Hardwood floors and the final large window overlooking the pond, and this kitchen is any cook's dream. There is access to a patio, which leads to the garage, the studio over the garage, and to the deck on the back of the home. The upstairs of the home features three full bedrooms, and a large bathroom. The first bedroom has access through the closet to the attic, with walk-up stairs. The second bedroom has built-ins for books and a desk. The master bedroom has ample space for a sitting room area, or future expansion possibility for a master bath and larger closets. All three beds have hardwood floors. The hallway bath has some updates, without need for any work. Not to rush through this space, but typically the bedrooms are less of a factor when buying a home, but here, there is character upstairs as well as down. The home has a full basement, with a wine cellar and laundry. Though this space is not quite the finishable space, it does have access to the back yard directly. As if the home itself weren't enough pf a steal at this price, there is an in-law studio apartment with full bathroom. Though the owner cannot guarantee the 'legality' of this space, it adds to potential for a homeowner with vision. Use the studio as a painter's escape, or to house guests separately when they visit. 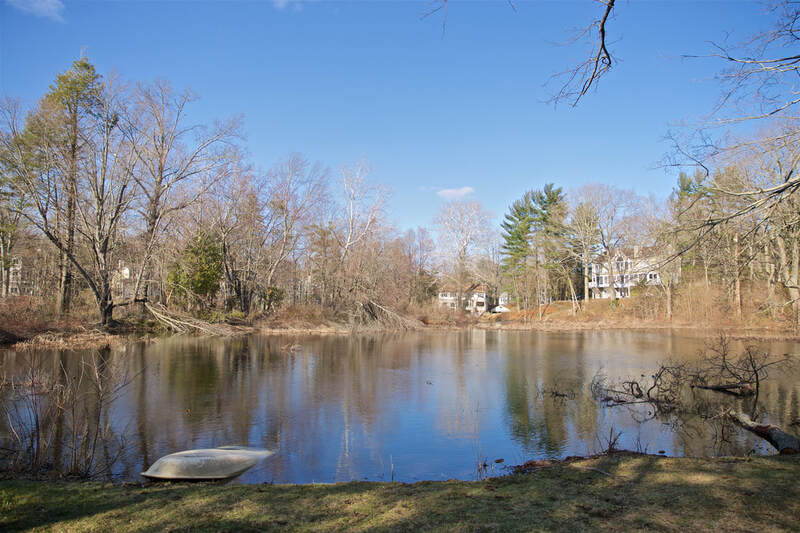 It creates the most fantastic opportunity for a future homeowner, with another large window overlooking the pond. Meditate, relax, and really think about buying this home. I keep thinking that I won't put another home on the market that takes my breath away, but 104 Silvermine Ave in Norwalk does just that. 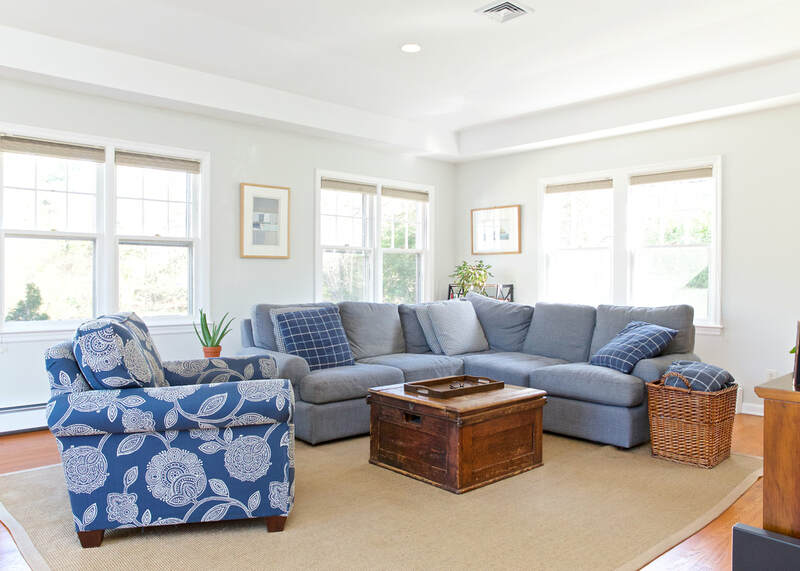 This home features everything today's buyer is seeking, with so much more. There are multiple entertaining spaces and an office on the main level - all in excellent condition. There are 3 beds and 1.5 baths, a full basement, a large yard and property, a deck and patio, all overlooking a pond and nature that is unmatched. All this, plus a 2 car detached garage with an accessory apartment on top. See it fast, it will sell before you know it!